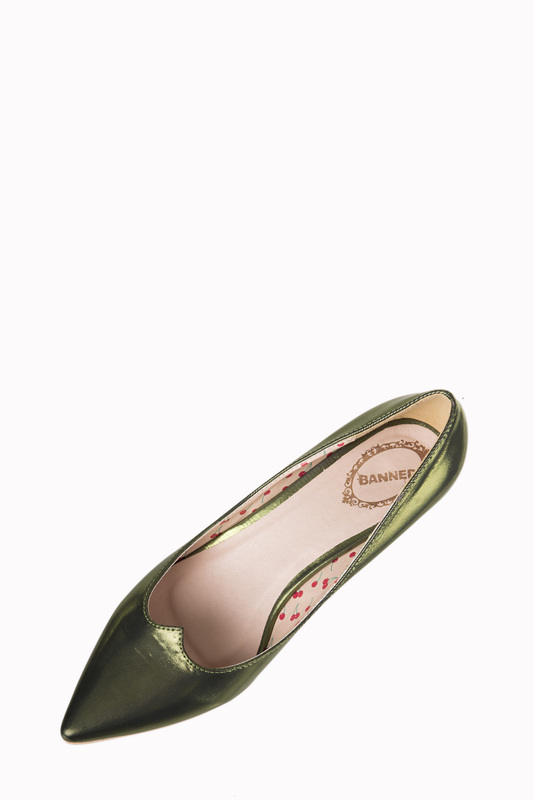 Meet the Dancing Days Olive Green Kitten Heel Shoes in a vintage 1940's style. 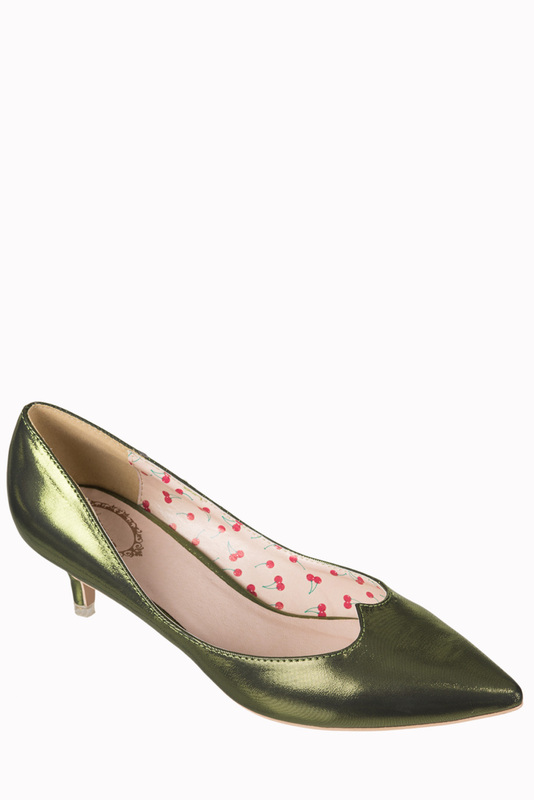 These sizzling shoes come in a green finish and are a perfect partner to your 40's vintage summer dress. There's a subtle lacquer gloss finish is to the shoe will really add shine to your look which'll make you oh-so vintage! To add a final twist to this great shoe, you'll catch the eyes of admirers with these high sheen shine shoes. Please feel free to reach out to us with any questions you may have and we've compiled a special shoe size chart for these Dancing Days By Banned 1940s Olive Green Kitten Heels.